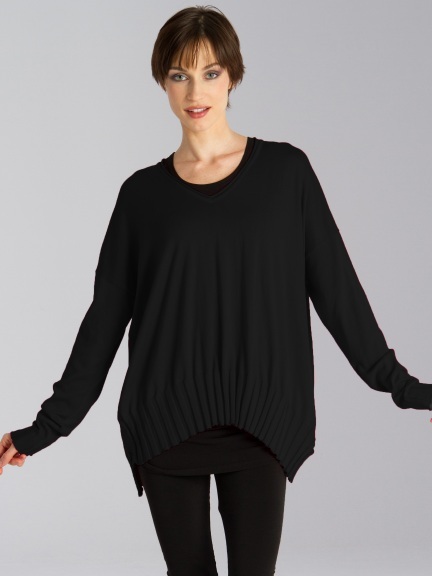 Traditional V-neck sweater with ribbed cuffs and hemline. 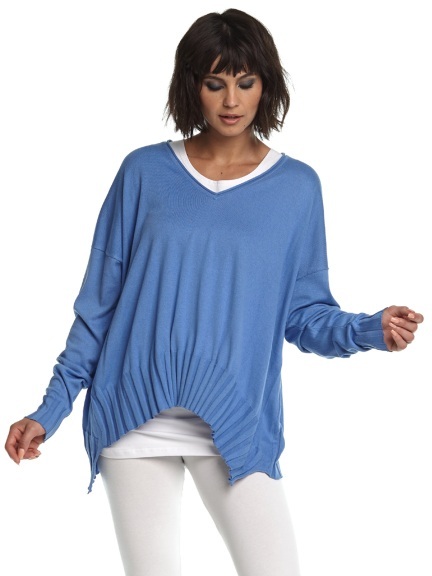 Dropped shoulders, extra-long sleeves, and oversized fit. Offered in a variety of colors in soft pima cotton blend knit. The colors Fuchsia, Peri, Pool, White are available as a Special Order, estimated to ship on May 26th for orders placed today.